physically fit, mentally confident, and proficient in gymnastics! Check out the summer schedule and register you child to reserve a spot for them! High School League Coach of the Year! Our very own founder, Chris Way was recently named the NEC/CAL high school league Coach of the Year! Congratulations Chris! We have a wide variety of classes for children of all ages and ability levels. Classes and Team programs for both boys and girls! Half-day mini camps, classes, tumbling and team! Easy for the parents, awesome for the kids! Free play in the gym! Ages 10 and under. Open to the public. Private and semi-private instruction for accelerated growth! Child and Adult Karate! Traditional Okinawan Shorei Ryu, Hon Shin Do! Here you will find information about our Holiday and School Vacation Schedules, Preschool/Rec Theme Weeks, Extra Open Gym times, and our special events such as Winter Wonderland! 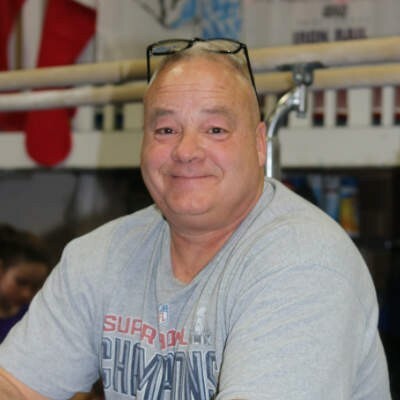 See our list of staff and learn about our facility and the history of Iron Rail Gymnastics! We are passionate about creating a safe and positive environment for children of all ages as they pursue the exciting sport of Gymnastics! Open Gym is a great time for children 10 and under to enjoy free play in the gym. 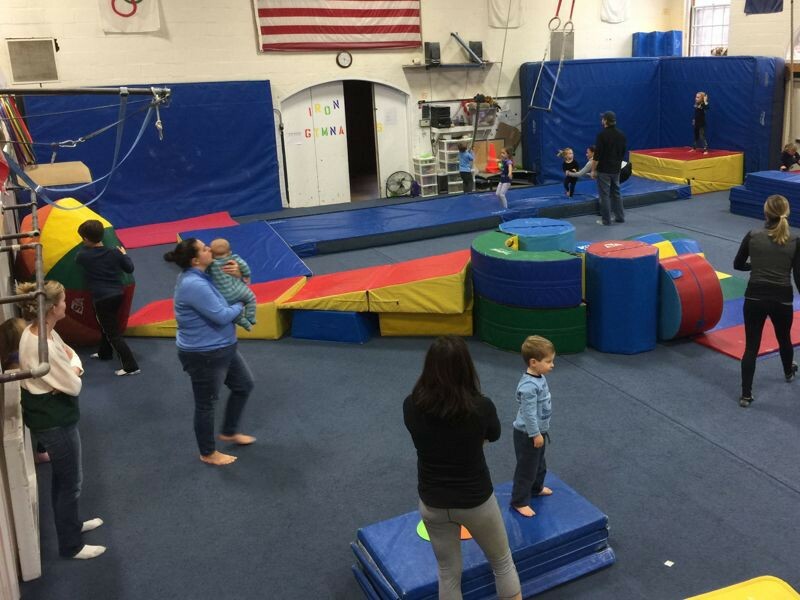 Parents are welcome to accompany their child around the gym but are not allowed to attempt gymnastics skills. Great fun for the kids, extra easy for the parents! 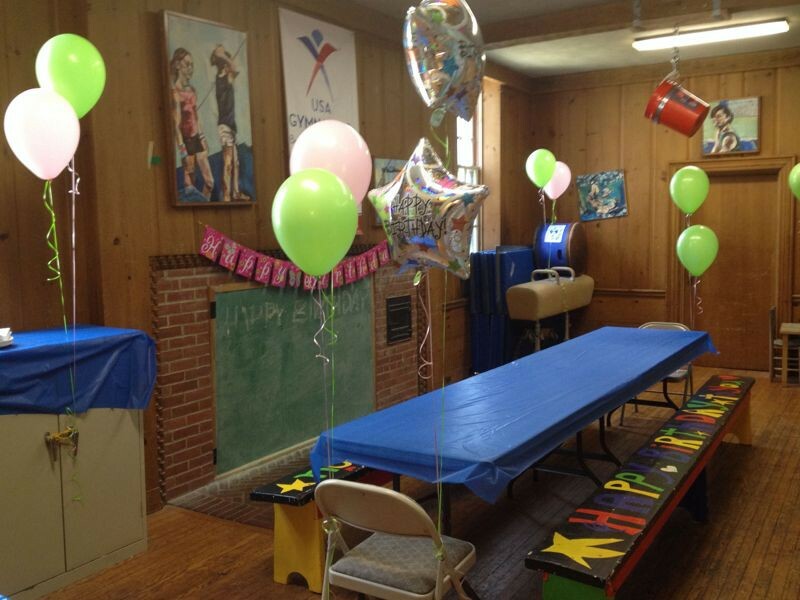 Enjoy an hour and a half of games, foam pit, trampoline, flying, obstacle courses, and cake! 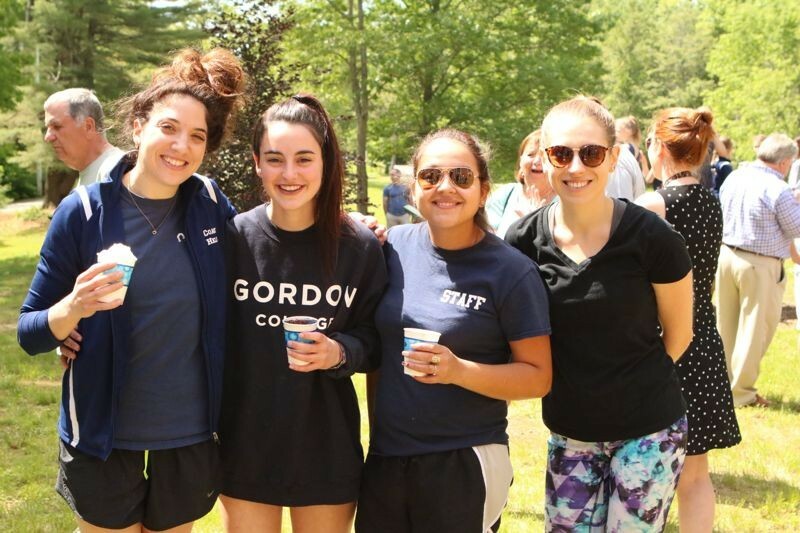 On the path towards strength, fitness, and confidence!